We have been hopeless witnesses to what is known as the most ravaging cyber attacks that have been reported till date in the form of WannaCry ransomware attack. The after effects of this attack which happened just few days ago, are still being felt across the globe. Organizations have suffered colossal losses irrespective of their sizes and locations. The list of major enterprises that were impacted consists of Russian Central Bank, Hitachi, Nissan, Telefonica, and FedEx just to name a few. Thanks to over enthusiastic Whatsapp groups, there have been innumerable rumors that making rounds and adding to the already existing confusion. One such rumor is related with preference of ransomware such as WannaCry for large scale organizations. It has been found that a myriad of home computers and computer systems of small and medium organizations have been at a receiving end of this massive cyber attack. The amount asked for by hackers is such that the victims can pay the ransom money which is significant but not unrealistic. This strategy can work successfully with small enterprises or individuals rather than large giant enterprises. Another significant myth is about vulnerability of ATM transactions to ransomware attack. According to experts, this fear is totally unfounded since ATM machines are not programmed to save transaction related data. In addition to this, a firmware also limits the use of operating system to fundamental functions. Many individuals believe that the data will be impossible to recover unless the demands of hackers are met. Ideally, one must take regular backups of important files to develop immunity against such cyber attacks that play on the weaknesses of victims. If your data backup is updated, then you need not pay attention to the hackers and can restore your data with help of the latest backup. Individuals should not be under impression that if the current attack has not been able to impact computer systems in their organizations, then they need not worry. In fact, ransomware such as WannaCry is sure to show up in the form of various modules and may also harm smart phones since these are running on Android operating system. 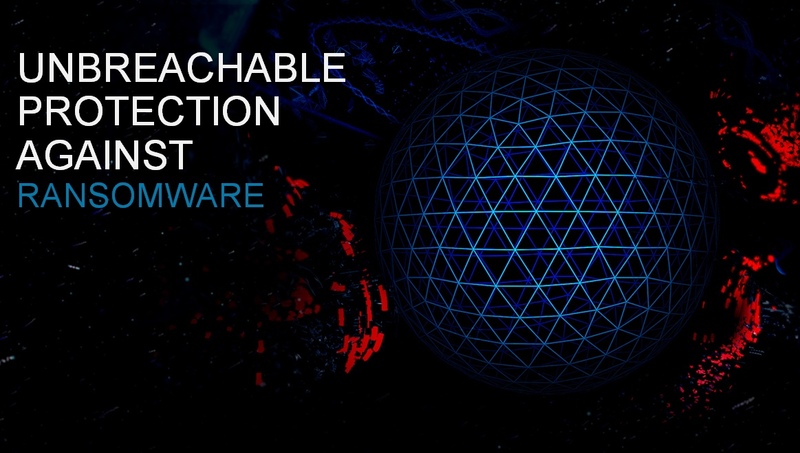 Even though there is no ultimate solution to arrest ransomware attacks such as WannaCry one can certainly adopt ways to avoid these. Routine updates and regular data backups are easy and effective ways to reduce impact of such attacks. Hard Drive-WD My Passport- As mentioned earlier, regular backup is a simple and economical way to protect against ransomware attacks. The built-in protection of hardware through encryption and a long warranty of three years make WD My Passport Hard Drive stand apart. One should take precaution of disconnecting the drive from laptop in order to stop ransomware encrypting the data in hard drive. Alternative to DropBox- DropBox is not supposed to be a sound solution for cloud backup. There are several good options to leverage cloud backup other than Dropbox. You can consider using Crashplan, Backblaze, or Carbonite as more effective alternatives. These are authentic cloud services that encrypt your files to store at remote locations. Cloud backup solutions facilitate a new and uninfected version even if a WannaCry like attack succeeds in locking up your mission critical files. Use iPhone as a strong defense- Android based smart phones are vulnerable to hackers’ attacks on account of the multitude of third party apps. On the other hand, an iPhone offers rock-solid defense due to absence of such apps. In case you are using Android based smart phones, then you need to exercise care while installing third party apps. Even a temptation to click on spammy offers or text messages can land you in trouble. Restrict your downloads from official sources only. Get robust internet security through Bitdefender- Sometimes, anti-virus applications can jeopardize your entire computer system since these may be designed to hook up multiple components of the computer. In such cases, if the anti-virus protection is compromised, then you run a risk of losing control of the whole system. Bitdefender has been reckoned as one of the most reliable internet security systems by number of trusted review sites. It offers robust protection against WannaCry as well. Use the latest version of Windows- In case you happen to be on an older Windows version, or are still stuck with Windows XP, then you must immediately exit the same and embrace Windows 10 for assured protection against ransomware attacks. With the Shadow Brokers’ massive release of NSA tools you should not count on any other version of Windows for security aspects with the only exception of the most recent one such as Windows 10. In spite of the fact that the days of getting it free of cost are long over, any investment for upgrading your system is certainly going to pay for itself.